3D VISION EFFECT: 3D visual creative lamp is an innovative artistic atmosphere light, optical acrylic light guide plate engraving a variety of 2D graphics, 3D visual impact. 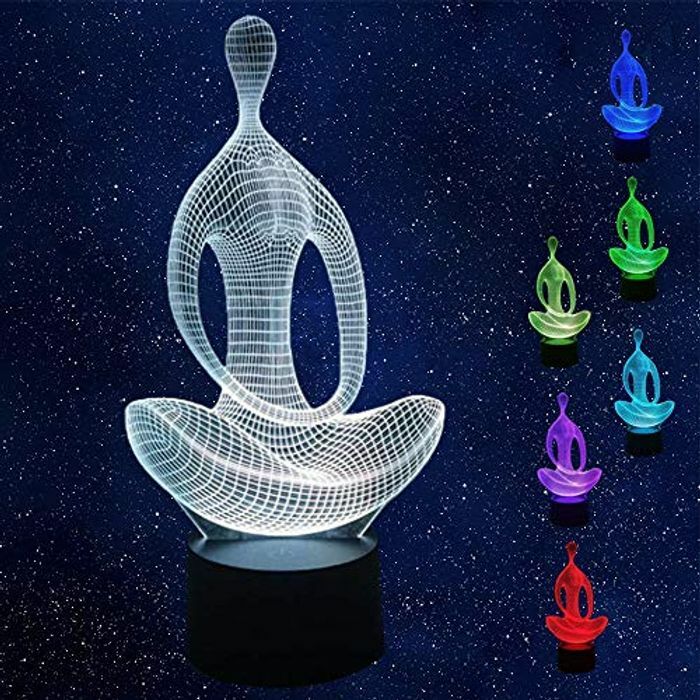 SOFT LIGHTS: Very beautiful in night, bright enough to be your nightlight, it will sent out a gentle beam by 9 LED beads once you turn on it, 3D Night Light will give you a strong vision thrill. SMART TOUCH CONTROL: You can touch the touch button which on the base of the desk lamp to change the Diffrent lighting of WUHUHAI 3D Lamp illusion light. Our 3D night light provide you 7 kinds of monochrom color mode and 1 gradually-changed color between 7 color. Includes red, green, blue, yellow, cyan, purple, white.